Fleming H. Revell Company, 9780800733964, 290pp. In Jersey City the code of the streets is simple. No matter what, you don't talk to the cops. You don't snitch. But when young bus driver Andre Bolden witnesses a murder on his route, the code gets personal and every decision leads him deeper into worlds that he never intended to enter. In this rich story that ratchets up the tension and suspense at every turn, the reality of life on the street is infused with spiritual truth. Gifted storyteller Booker T. Mattison's realistic tale of revenge and redemption offers hope about the strength of community against violence and intimidation. Booker T. Mattison is an author and filmmaker who wrote the screenplay for and directed the film adaptation of Zora Neale Hurston's "The Gilded Six-Bits," which aired on Showtime. His debut novel, "Unsigned Hype," has been optioned, and he is currently writing the film adaptation of the book. Mattison has taught literary criticism at the College of New Rochelle, film production at Brooklyn College, and advanced directing and actor coaching at Regent University. 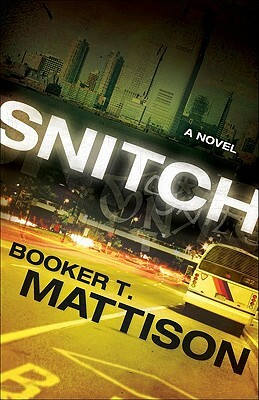 "Snitch" is his second novel.